Junk Hauling/Removal, Estate and Foreclosure Cleanouts, Move In-Out Cleanouts, Demolition Services and more! We are a Family Owned Business taking pride in providing greater Northern Virginia with professional service, integrity, and 100% satisfaction. Like us on Facebook to unlock seasonal specials. We offer junk and debris removal services for your homes and businesses including rental properties, foreclosures, offices, retail locations, warehouses, construction sites, and more. 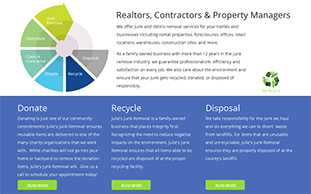 As a family owned business with more than 12 years in the junk removal industry, we guarantee professionalism, efficiency, and satisfaction on every job. 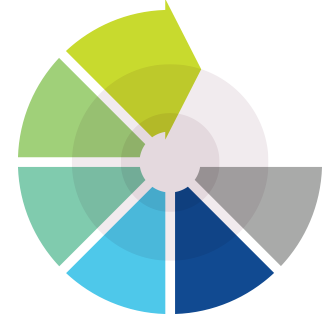 We also care about the environment and ensure that your junk gets recycled, donated, or disposed of responsibly. Donating is just one of our community commitments! We ensures reusable items are delivered to one of the many charity organizations that we work with. While charities will not go into your home or backyard to remove the donation items, we will. Give us a call to schedule your appointment today! We are a family-owned business that places integrity first. Recognizing the need to reduce negative impacts on the environment, we ensure that all items able to be recycled are disposed of at the proper recycling facility. We take responsibility for the junk we haul and do everything we can to divert waste from landfills. For items that are unusable and unrecyclable, we ensure they are properly disposed of at the county's landfill. We make getting rid of your unwanted junk easy. Just give us a call at 703-BYE-JUNK / 703-293-5865, or contact us online to schedule an appointment. Our courteous, professional team will call you prior to pick up. When we arrive, show us the junk you want removed, and we will provide you with our price list. We provide FREE PHONE ESTIMATES for your convenience, and we make every effort to donate, recycle, and reuse your unwanted items whenever possible. 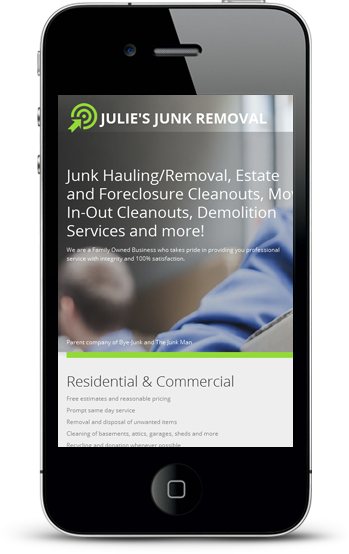 Julie's Junk Removal is affiliated with many ministry organizations. We are often contacted by people with sincere needs for a specific item. If the items we remove are still usable, we will check our waiting list to see if it fits a need and ensure it goes to bless that person. If not, we donate it to a ministry affiliate or recycle it.